Our FM-Tco4 HCV GPS tracker is integrated with Continental tire pressure monitoring system ContiPressureCheck. We are pleased to be among few confirmed telematics companies that products are compatible with ContiPressureCheck system. 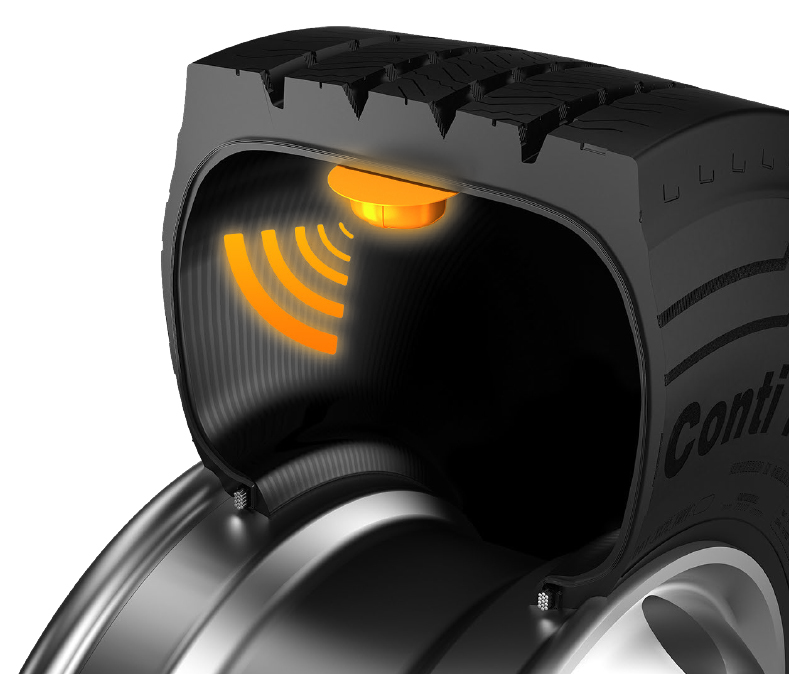 The new ContiPressureCheck system continuously measures the pressure and temperature of all tires on the vehicle – even when the vehicle is being driven. This helps to save fuel and increase mileage. It also significantly reduces the risk of tire failure, whilst maintaining the value of the casing, and thus the retread ability. ContiPressureCheck system uses tire sensors, that are mounted on the tire inner liner inside a rubber housing and continuously measure the tire pressure and temperature. The system is available from single axle trailer to six-axle vehicle with a maximum of 24 tires. It is suitable for tractors, trailers, buses and coaches. Using ContiPressureCheck with TrustTrack allows viewing live inflation pressure and temperature data, as well as to receive real-time alerts if the vehicles tire pressure or temperature changes. This enables even more efficient fleet management. Continuous tire pressure monitoring drives down overall operating costs. The new ContiPressureCheck system continuously measures the pressure and temperature of all tires on your vehicle – even when you are driving. This helps to save fuel and increase mileage. It also significantly reduces the risk of tire failure, whilst maintaining the value of the casing, and thus the retreadability. Thanks to the new ContiPressureCheck system, you can now actively reduce operating costs by up to 1,500 € per vehicle a year* while improving driver and vehicle safety. * savings based on 4 x 2 tractor with three-axle semi-trailer driving 140,000 km per year (assumed price of diesel: 1 € / l), including estimated costs (approx: 700 €) for one tire-related breakdown. “ContiPressureCheck gives the driver the assurance that his tires are at the correct pressure and alerts him to any potential problem, such as a slow loss of pressure that could lead to a complete tire failure.